A farm animal rescue group is asking for Gov. Rick Perry's help with the hay crisis threatening Texas ranchers. Bob Williams, the founder of Ranch Hand Rescue in Argyle, called the hay crisis a nightmare. "I can't sleep at night," he said. "It's the worst feeling in the world. People are frightened." Ranch Hand Rescue created an online petition that asks Gov. Rick Perry to use state resources to bring hay in from other states. 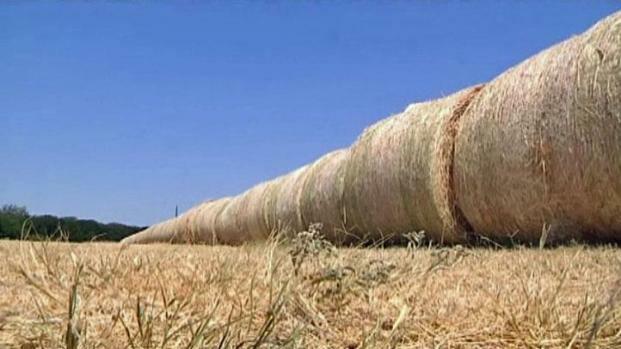 Government for Help with Hay Shortage? Denton County's Ranch Hand Rescue is asking the government for help with the hay shortage that threatening ranchers and their livestock. "Being such big cattle and horse country, I'm sure he's heard the need for hay now," said Marty Polasko, a member of the group's board. "But I think the petition shows unification. This is something that's important." The lack of hay has Ranch Hand Rescue and people who own livestock scrambling. "We get several calls every day from organizations and individuals who just can't afford to feed their animals," said Kim Thomas, Ranch Hand Rescue board member. Williams said smaller rescue groups are going to have a hard time surviving without hay because they don't have the money to buy it. Ranch Hand Rescue got their hands on some hay, but it wasn't cheap. "It's tripled or quadrupled its price," Polasko said. "You could get the hay at a good price up north, but then, you have to ship it a thousand miles," Thomas said. 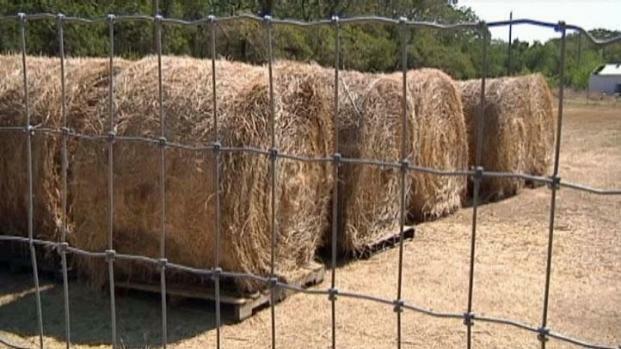 Ranch Hand Rescue said its mission is to get more hay for itself and others in desperate need. In addition to their petition to Perry, the rescue group is working with the Cowtown Coliseum to host a second hay drive.